I have so much stuff to sort! In a long unpacked box today I discovered some forgotten family treasures, one relating to my maternal Grandfather and the other to my Dad. My Grandfather, Rev. 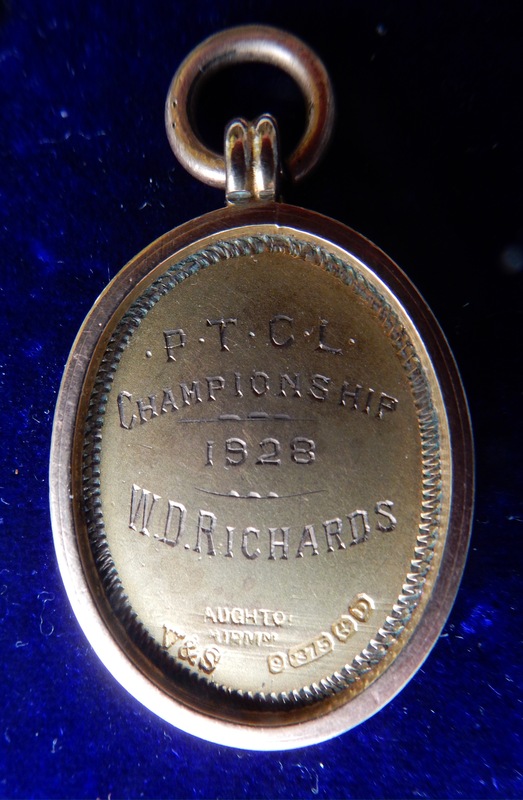 W Richards, won a Championship of some sort and was given the following beautiful little piece with the Preston Coat of Arms enamelled on one side and P.T.C.L. on the back with the date 1928. If anyone knows what the letters stand for, I would love to know. 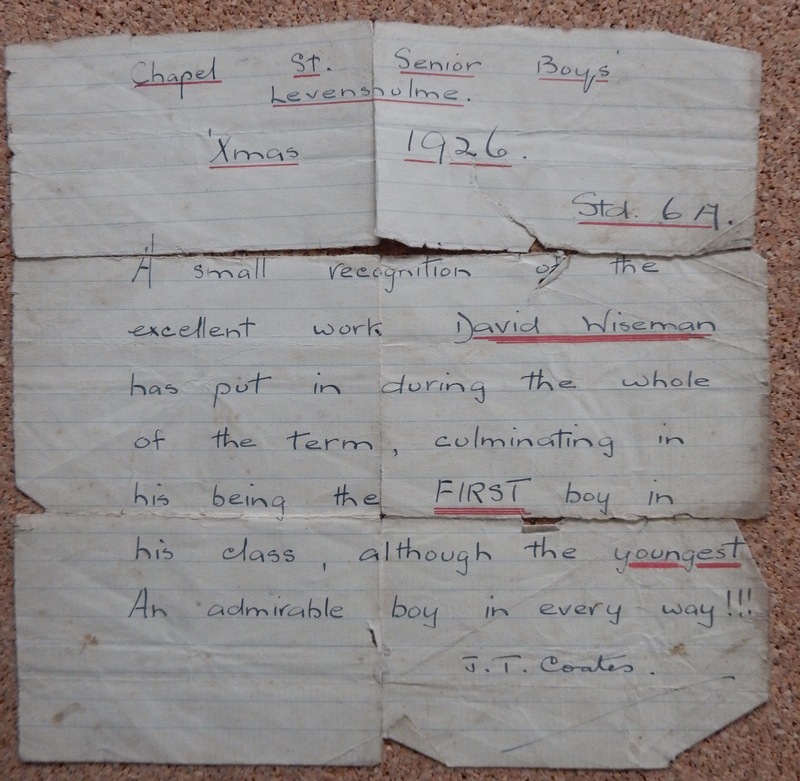 What a thoughtful teacher wrote this little note for my Dad to take home from Primary School.It was written when Dad was ten years old before he moved on to Manchester Grammar School. In another ten years it will qualify as an antique! Delightful treasures! Nice to confirm that David stood out all the way back to his boyhood. Sally I was lead here: http://imgarcade.com/1/lamb-of-god-symbol/ when I typed in search of” Symbols for P.P with lamb”. May be this can help you decipher the mystery for you? The letter is beautiful! So encouraging! Love to you my friend. 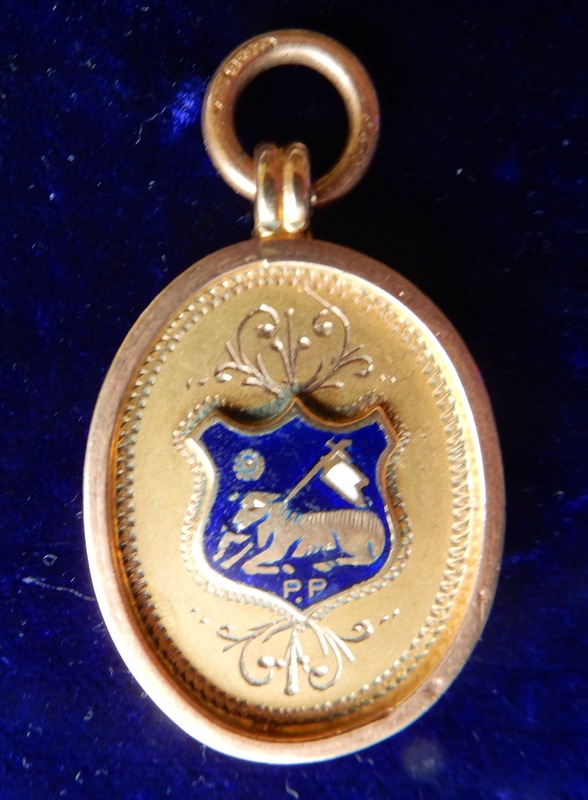 What fantastic finds, thanks for sharing. I particularly enjoyed the letter, too. What a wonderful find Sally, keep it save, frame it, that is precious. Exactly and it keeps straight and can’t tear. It i so wonderful to find things like that! Absolutely and you can be proud too. What lovely tokens you found Sally.